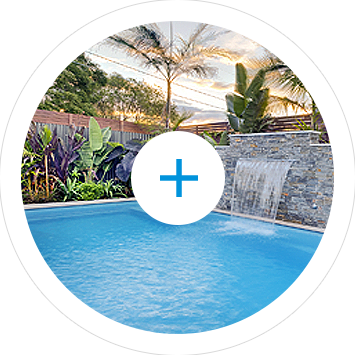 Although Compass pools are factory moulded to an existing shape range, there is still plenty of potential to customise your pool and express your own design flare. 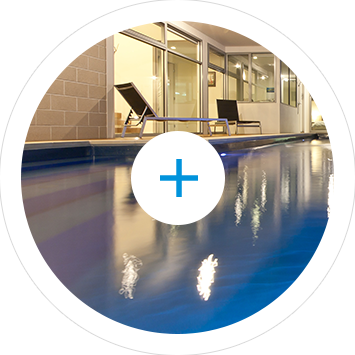 Compass Pool Dealers all over Australia and New Zealand are continuing to push the boundaries with custom innovations from sunpods to waders and spas, disappearing edges and even beach zones. One of our proudest achievements is the invention of Maxi Rib technology over 20 years ago, which allows us to install pools completely above‐ground. 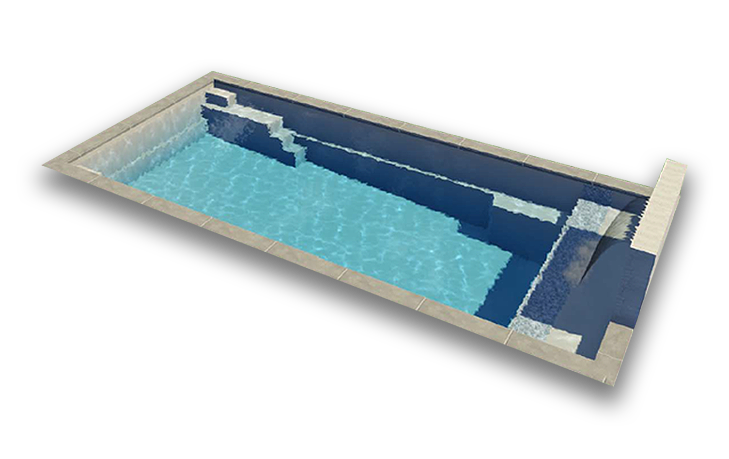 This means that we can put Compass pools on difficult sites that would usually be limited to concrete installations. 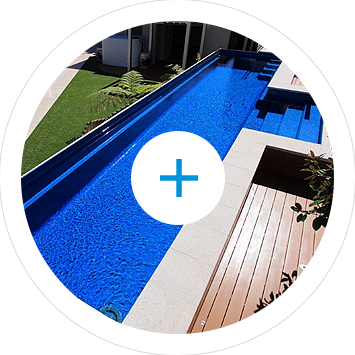 If you live on a sloping site, hillside or even want your pool on a rooftop, talk to us today. 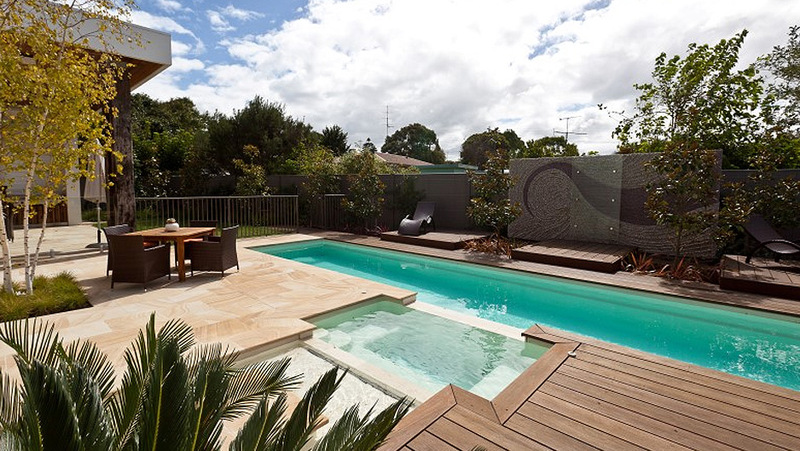 Our exclusive beach zones can be used to transform any pool shape to better suit your lifestyle. Add a beach zone to create the perfect place for kids to play or for adults to sit and relax. Beach zones can also be used as a pratical way to overcome simple design challenges. For example, you can use a beach zone to place your pool closer to buildings without undermining standard footings and potentially compromising ground stability. Beach zones are available in various lengths and widths and come in the full range of Bi‐luminite and Vivid colours. 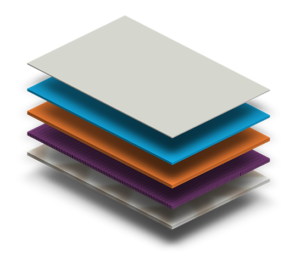 Our unique Ceramic Core technology enhances the strength of our pool shells and enables us to do things that cannot be done with traditonal fiberglass pools. Combine this with our propensity for innovaton and almost anything is possible. Enhance your Compass pool by adding a grand entry bench. 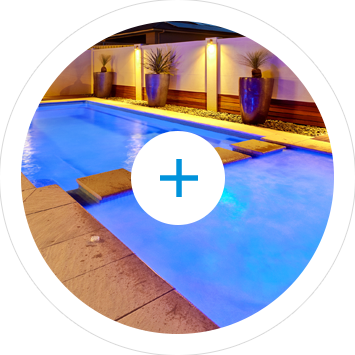 So you like the idea of our Vogue pool design but also want the extra width of a X‐Trainer? Then you can add the grand entry bench and turn any X‐Trainer pool into a custom Vogue – perfect if you prefer the bench on the opposite side to the standard Vogue series. Grand entry benches also allow you to create an elegant pool entry and seating on any side of your pool. Our grand entry benches are available in the full range of Biluminite and Vivid colours. Spend 1‐2 hours with a fully‐trained Pool Consultant who can help you figure out the optons that will best suit your backyard and personal tastes. 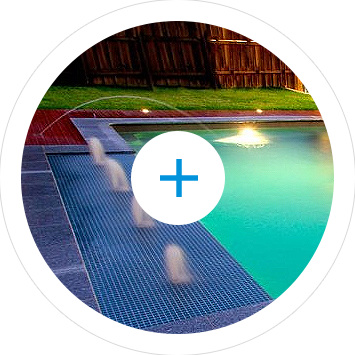 + Get great ideas to help ensure you get the perfect pool for you!